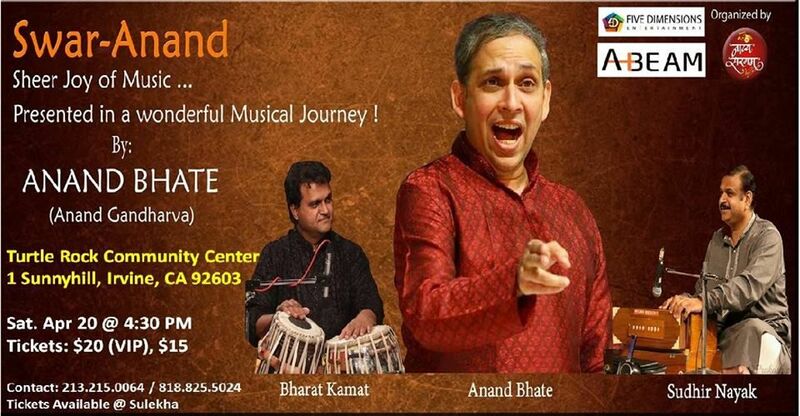 Live Hindustani musical by Anand Bhate. 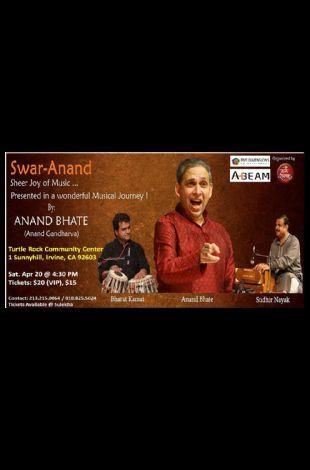 He is a 2011 national film award winner Indian vocalist from the Kirana Gharana. He also won many prestigious awards like Zee and MIFTA.